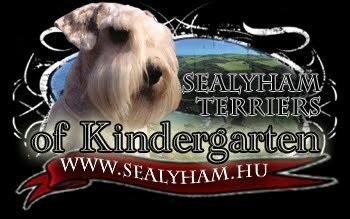 Sealyham Terrier of Kindergarten Bronzkoszorús Mestertenyészet: Christmas greetings! Joy resounds in the hearts of those who belive in the miracle of Christmas! Wishing you a seasons of blessings from Heaven above Happy Christmas!